YouTube-mp3.org no longer working? 3 Tips to fix YouTube mp3 not downloading/converting issues are listed here! YouTube-mp3.org went into a big crisis at the beginning of 2016 October, which was sued by music labels, Universal Music Group (UMG), Warner Bros, Sony Music and others for copyright infringement. Although YouTube mp3 announced it is legal to download YouTube contents in German and there is no violation of YouTube Terms of Service for nonuse of YouTube API, this biggest YouTube ripping service faced shutdown due to the lawsuit. Till February 2017, YouTube mp3 still gave a maintenance message not allowing users to download and convert YouTube videos. And now, in 2018,it has permanently banned by Google making it impossible to access this site. Is there an available way to fix YouTube mp3 not working issue? Follow us! WinX HD Video Converter Deluxe – Download and convert any YouTube videos to MP3, FLAC, AAC, AC3 and other popular audio formats while keeping hi-fi sound. It is stable, 100% clean and safe helping you achieve YouTube to MP3 conversion hassle-free. Apart from present legal issue which probably causes YouTube mp3 not working problem, we find this service had experienced "won't download/convert" error several times before. "So everytime I paste my link in and click convert it re loads the page but won't let me download it as there's no option anymore." "Why won't youtube-mp3.org download full song. It only downloads 3:10 of a 4:27 song." To fix those "YouTube mp3 won't work" issues, we suggest you to get an alternative. What kind of YouTube-mp3.org alternative can we take? And, what's the best one? Like Youtube-mp3.org, online YouTube to MP3 converter sites offers a pretty convenient solution to download YouTube videos to MP3. Paste the video URL to address bar of the page and click Convert. After the video is converted, click Download button to get MP3 file. Also, some online converters will offer several output formats more than MP3, for example M4A, FLAC, MP4. Top YouTube mp3 alternative sites with well working include clipconverter.cc, youtube2mp3.cc, convert2mp3.net, listentoyoutube.com. While YouTube mp3 not working, try to install YouTube to MP3 plug-ins for browsers. Simply open your browser and turn to add-ons or extensions page. Input the keywords "YouTube to MP3" to load results. You can make a decision according to top-rated list or users' reviews. Also, the following introduced extensions are for your reference: Easy YouTube Video Downloader, YouTube Mp3 Converter, MP3 Downloader. Lots of YouTube to MP3 downloader desktop software swarms into the market aiming at offering users a solid and easy solution to convert YouTube videos to MP3. WinX HD Video Converter Deluxe is highly-recommended one which is able to download and convert online (YouTube) videos to various audios, videos including MP3, FLAC, AAC, AC3, M4A, MP4, AVI, FLV, MOV etc, while keeping original quality. Thanks to hardware acceleration plus Hyper-threading Tech, Multi-core Utility, it can deliver No.1 fast speed to convert YouTube videos to MP3. It is designed with a mordern and straightforward interface. 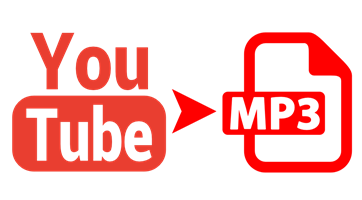 You can complete YouTube to MP3 conversion in only 3 steps: Add URL > Select MP3 as Output Format > RUN. Additionally, it not only able to extract whole audio track as MP3 from a music or otehr videos, but offers a tool to trim the video for removing redundant parts and extracting desired audio effects from certain segement. This YouTube to MP3 converter is a 100% clean and safe program without ads, spywares, virus or other mailicous software. So, you want install it without worries. • Online video converters and browser add-ons are not so stable. Even the recommended sites and plug-ins had been reported not working unexpectedly once. • Security problem of online video converters and browser add-ons exist all the time. Although some are verified as no threats but pop-ups and on-site ads always bother users. We will keep track of YouTube-mp3.org and give an update once new info is revealed. • Free download videos from 300+ sites (Vimeo, Dailymotion, Vevo, MTV and more) besides YouTube and convert downloaded videos to audio. • Also available to convert local and online videos to MP4 (HEVC/H.264), AVI, WMV, MOV, MKV, FLV, WebM, iPhone, iPad, Samsung, Huawei, Windows Mobile, PS3/4, Xbox, Apple TV etc.